Classic Car insurance Q&A with Ron Fiamma, AIG’s Global Head of Private Collections. 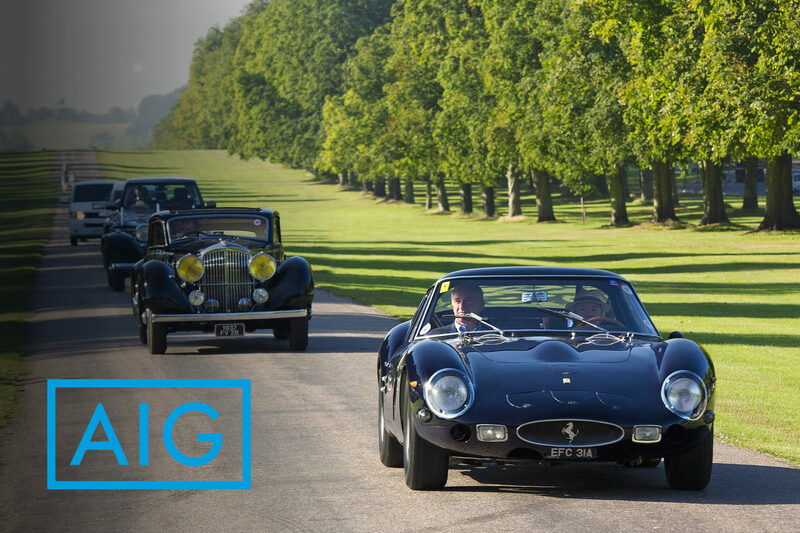 AIG is the main sponsor of the Concours of Elegance. Q: What is a common insurance mistake made by car collectors? One of the biggest mistakes is insuring your collector car the same way you insure your daily driver. Not only will you be paying too much, you will not be taking advantage of the special coverages vintage autos require. They should be insured at an agreed value that never depreciates and have a feature that offers an upside buffer to account for rising values. Q: What is the biggest risk of owning a classic car? Physical damage is perhaps a classic car owner’s biggest fear. In the event of damage, a financial pay-out is not the main concern for car collectors – they want their prized possessions to be restored with original parts: not always an easy task. And if damage done to a car reduces its overall value, even after it’s been fixed, a client should be compensated this difference in value. Q: What else should owners be aware of? Damage doesn’t necessarily always occur on the road. In fact, many claims occur during transit. Owners often like to ship their cars to different locations around the world, and independent experts can provide comprehensive advice on the best methods to move a collection from one location to another. They can also provide guidance on the proper design and maintenance of storage facilities, as well as how state-of-the-art technology can be used to detect potential hazards.